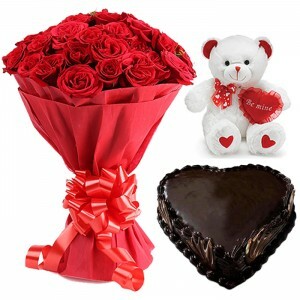 Surprise your beloved by sending this delicious 2lbs Heart Shaped Chocolate Cake. This cake will be a perfect gift for Valentines day. BURBERRY’S TOUCH is classified as a refreshing, gentle, oriental fragrance. This feminine scent possesses a blend of citrus and rose top notes, with floral mid notes and base notes of vanilla, oak moss and cedar. It is recommended for casual wear. -Deliverable within 24 hours for main cities & 48 hours for other cities of Pakistan.